"Old fashioned, hand-crafted goodness from our family to yours!" Built in 1840 by the Dubbs Family, the Burnt Cabins Grist Mill has a long history of producing quality flour, corn meal and baking mixes. 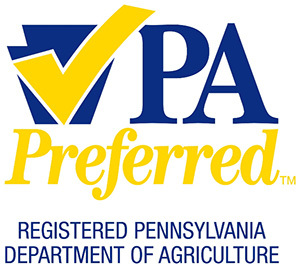 The Mill, located in south central Pennsylvania, has changed ownership throughout its history but has maintained a longstanding reputation for quality products. In 2006, Greg and Dawn Harnish became the eighth proprietors of the 175 year old Mill with the vision to continue the delicious tradition that has become Burnt Cabins Grist Mill products. Building on existing tried and true recipes, the Harnish family has expanded the product line to include several specialty and seasonal mixes. Regionally grown grains and corn are ground into flour and corn meal the old fashioned way. These ingredients are then used in the line of all natural pancake mixes produced in micro batches at the Mill. Each bag is carefully filled and tied by hand with the old fashioned miller’s knot. Each member of the Harnish family is involved in the production of their delicious all natural products, from Greg doing the grinding; to son and daughter, Ben and Shelby, packaging the mixes by hand; to Dawn marketing and promoting their all natural products. Over the years the family has spent countless hours growing their family owned business and preserving the time tested traditions of the Burnt Cabins Grist Mill, Burnt Cabins, Pennsylvania. 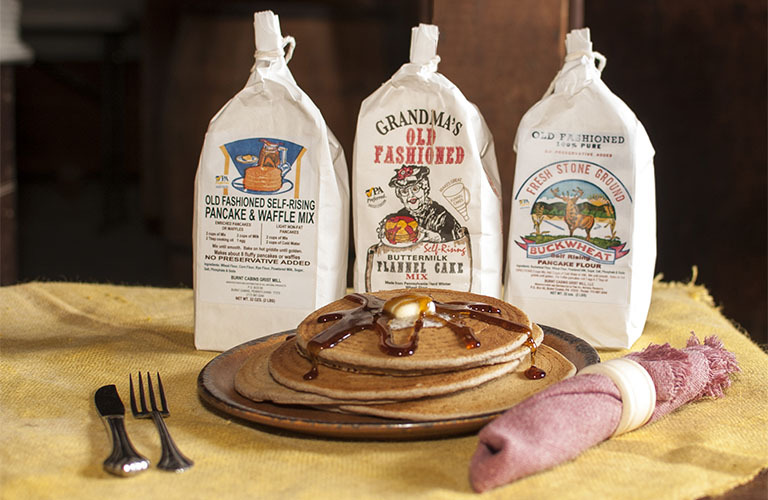 From our family to yours, browse our line of products and start a delicious morning tradition with Burnt Cabins Grist Mill!